Independent, strong, a fighter, bold and daring, the Fillmore’s Leola King was a phenomenal woman — and a beautiful, sophisticated lady. The high yella Sepia Queen turned heads when she entered a room, divine in her furs, jewelry and glamorous outfits that fitted her style and personality. The lady was a star. 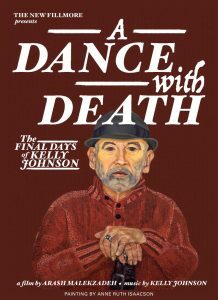 She passed away on February 3 in Palm Springs, where she moved in 2010 to be near her son. She was 96. Leola King came to San Francisco in 1946. She was a fixture in the Fillmore District and contributed greatly to it becoming the “Harlem of the West.” She was one of the first women of color to own a nightclub and to build a real estate empire in the Bay Area. 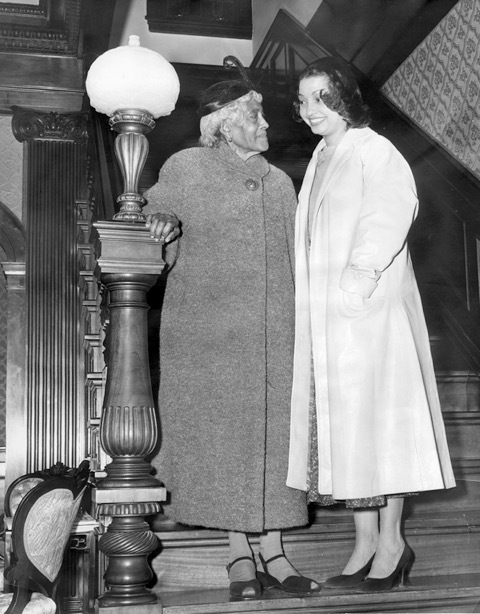 Leola King with her mother in the 1950s. 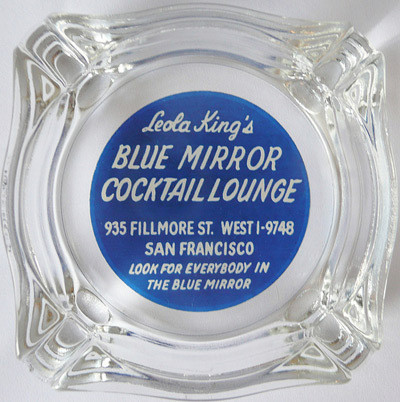 Her popular Blue Mirror club opened in 1953 on Fillmore near McAllister, featuring the likes of Nat King Cole, Louis Armstrong and Dinah Washington. Pianist-crooner Earl Grant would fly up from L.A. to perform on Monday nights. Goldie, as she was affectionately known by her friends, was also the name of her last nightclub, on Post Street near Van Ness. She lost most of her property during redevelopment. Like others, she received a voucher promising she could return. 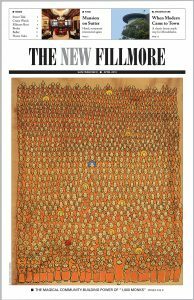 Unlike many, who could not afford to wait 10 years or more, Leola King had the fight and the money to hang on — but still did not get a piece of the action in the new Fillmore. During the construction of the Jazz Heritage Center in 2006, she dreamed of reopening the Blue Mirror. When she learned the name would be used for a restaurant in the center without her permission or consultation, she threatened a lawsuit. 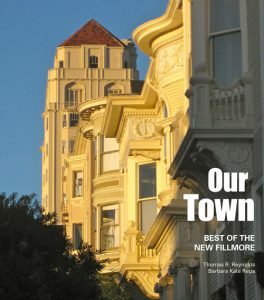 Instead, the restaurant opened as 1300 on Fillmore. At her homegoing on February 13 in the heart of the Western Addition at Third Baptist Church, Leola King was passionately eulogized by Rev. Amos Brown, former mayor Willie Brown and others. Among those who came to express condolences were legendary Fillmore entertainers Sugar Pie DeSanto and Bobbie Webb, both still performing. A repast was held at West Bay Community Center on Fillmore, around the corner from her San Francisco apartment building on Eddy.